So, in honour of Ridley Scott’s new film “The Martian” coming out today in the UK (which I’ll review as soon as I see it), I thought now would be the perfect time to recommend a really underrated Sci-fi gem that you should all check out exploring similar themes to “The Martian” called “Moon”. “Moon” is a 2009 film directed by Duncan Jones (David Bowie’s son who also directed “Source Code”) staring Sam Rockwell and Kevin Spacey. 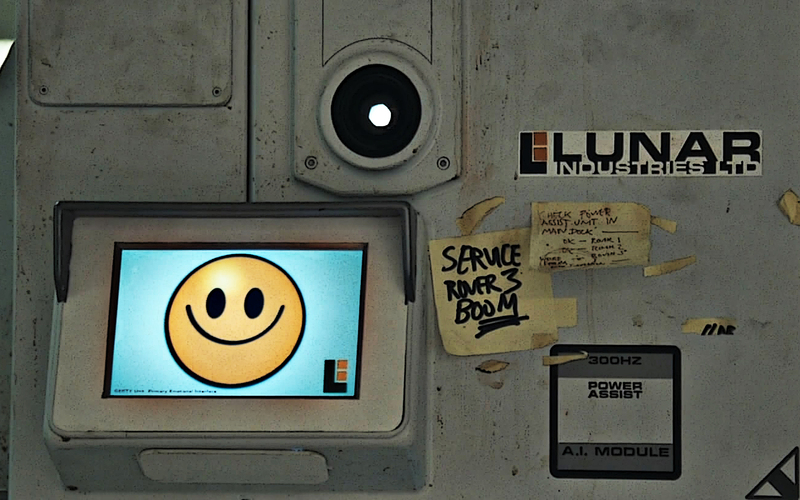 Sam Rockwell’s character is a miner working on the Moon with only a robot version of Kevin Spacey to keep him company. With his 3 year volunteer stint coming to an end, a series of revelations lead our main character to question whether the energy company he works for really has his best interest at heart or whether they have more sinister intentions. I really don’t want to talk about the plot of this film any further as it’s the kind of film that has a lot of plot twists and turns that I don’t want to ruin. All you really need to know is that Moon is a really great character study and claustrophobic thriller that does a great job at subverting most of the troupes of modern Sci-Fi, providing us with a captivating personal story. Sam Rockwell is totally awesome in this movie. He’s an actor I haven’t seen very much of (and whenever I’ve seen him he’s just been passable at best), however, here he absolutely kills it. His character has to deal with quite a lot in this movie (both physically and mentally) and Rockwell does a really good job at delivering a powerful, yet subtle performance. Kevin Spacey is up to his usual standards and delivers yet another brilliant character. His character clearly owes a debt to Hal 9000 (the computer from 2001: A Space Odyssey) and is one of my favourite voice performances of all time. The direction and production by Duncan Jones is absolutely fantastic. One thing I absolutely love in cinema is when a director is brave enough to commit to practical effects and miniatures rather than lazy CGI. Duncan Jones was a relative newcomer in the directing world (with this being his first feature debut) however with Moon you just get the feeling that he is a much older, more intelligent director than most people are with their first film. He has a unique sensibility when it comes to knowing what will work on screen. This film could have been a bit of a gamble for him, choosing to focus on character rather than action, over-reliance on practical effects and a small cast. But it’s worth it. I know a lot of film fans who begin to turn their nose up when the word Sci-Fi is mentioned. 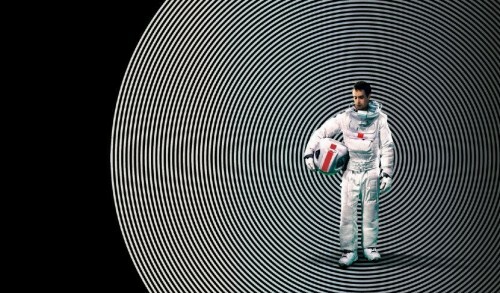 However, Moon manages to take the best bits from other standout films in the genre whilst still managing to form something unique and unlike anything I’ve seen before. Focussing more on themes and drama, than action. Even if you aren’t a fan of science fiction films, I’d say you should definitely give Moon a chance. Have any of you seen Moon? If so as always I’d love to know your thoughts. Also, if you have any films you want me to review, either comment or message me and I’ll see what I can do. Thank you for all your continuing support, it means a lot to me. I’ll be adding Moon to my to watch list. I’ve just watched The Martian, you’re in for a treat. Have you read the book? I’ve read Good omens by Terry Pratchett and Neil Gaiman, but I’m planning to read one that is just Neil Gaiman. Is it good?